Rotate the sides of the cube and match the colors. Play classic logic games to train thinking. 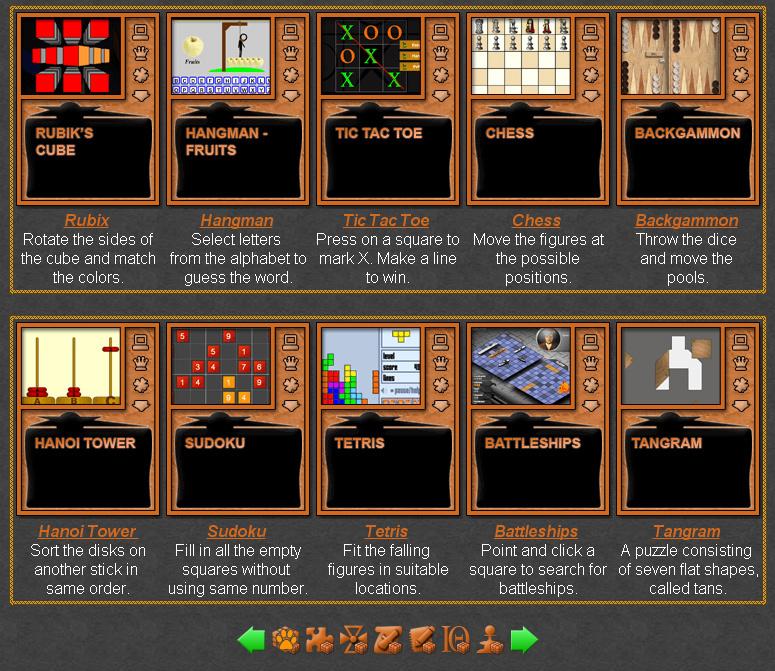 The clasic logic games are small online games, up to 1 MB, which represent the popular logic games, made for a computer. Play free classic logic games online. 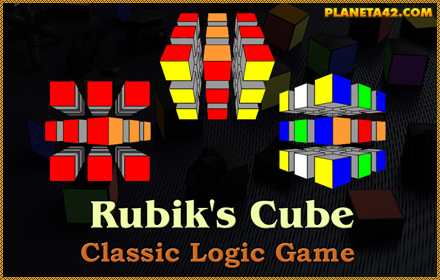 Popular logic games and tests, suitable for online learning and interactive classes. Famous logic games. Fun Classic Logic games Collection. Rubik's Cube - Sort the Rubik's Cube online. Rotate the sides of the cube and match the colors. Sokoban - Cover all the orange holders (X) by moving the boxes over them.